2012 is over and what an amazing ride. The UFC inked a paradigm-shifting, multi-year deal with FOX. They held more events, more fights, and carried a bigger roster than ever before. They anointed a new female champion Ronda Rousey (6-0). Champions returned (GSP & Cain), legends retired (Tito, Fedor, Hughes) and the Greatest only pushed his atmospheric legacy to new heights. To review the entire year and to forecast and prognosticate the upcoming 2013, I invite back both of the Getting Lucky MMA podcast co-hosts, English Thom Burton and Marcus Mitchell, to join me for a panel discussion. http://www.youtube.com/watch?v=i-5q7ZgKW1U Subscribe: http://feeds.feedburner.com/GettingLuckyEpisode (014) Summary: We start by forecasting who will be champion at the end of 2013 in every single weight division, starting with the Women's Bantamweight all the way to Heavy division. Favorites for the year include Renan Barao (BW), Aldo (FW), Bendo (LW), GSP (WW), Spider (MW), Jones (LHW), and Alistair Overeem (HW). There was significant discussion on the Flyweights as we don't feel that the division has really established a true hierarchy of elites vs. contenders vs. pretenders. Demetrious Johnson (16-2-1) is the current champ, but a murderer's row awaits him from Dodson, McCall, and Moraga. We were also divided on Rousey and if she can carry the strap all the way through 2013 with a looming super-fight approaching with the soon to return Cristiane "Cyborg" Santos (12-1). We then debate the Fight of the Year. While the obvious winner is Chan Sung-Jung vs. Dustin Poirier (UFC on Fuel TV ), we consider several other candidates, such as Shogun vs. Vera (UFC on Fox 4), Miller vs. Lauzon (UFC 155), and GSP vs. Condit (UFC 154). We also talk about the "Most Important" fight of 2012, the fight that nearly unhinged the MMA fan community with heated debate and vitriol - Condit vs. Diaz. In terms of fighter of the year, the voting majority chose Ronda Rousey while Ben Henderson also deserved considerable credit for raising his game to another level and solidifying his hold on the Lightweight title for a long time to come. Looking forward to 2013, we predicted that the biggest fight signed would be Aldo vs. Edgar, the #4 P4p greatest against the #8 P4p greatest. There is hardly another fight in MMA history that puts such two highly regarded fighters against each other since Fedor Emelianenko vs. Rodrigo Nogueira I. Also, there still looms potential for the super-fights (i.e. Anderson vs. GSP or Anderson vs. Bones). 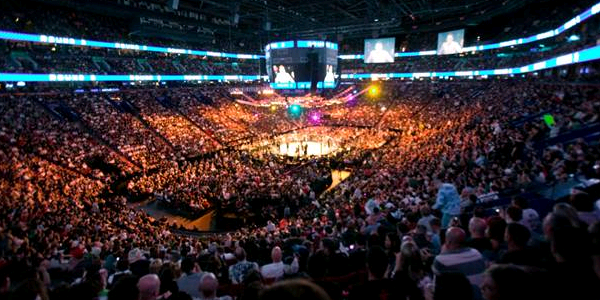 Could 2013 be the best in UFC history for these very reasons? We finish the podcast by talking about the worst fight of 2012 (Maynard vs. Guida) and the biggest robbery (the strange conclusion to Johnson vs. McCall I). On behalf of the Getting Lucky podcast team, thanks again for your support in 2012 and we're for bigger and better things in 2013. Cheers.